Dr Joffe Ellis (wife of Dr Albert Ellis) and Robin W. Thorburn UKCP (H) present Rational Emotive Behaviour Therapy (REBT) via seminars and workshops to psychotherapists and allied health professionals to demonstrate the outstanding advantages of this pioneering cognitive therapy. At the core of the REBT presentations & training is the ground breaking philosophy and psychological approach of Rational Emotive Behaviour Therapy, (REBT):The original cognitive therapy, which was created by Dr Joffe Ellis’ husband, one of the major pioneers in the field of psychology: Dr Albert Ellis. The following provides some background about Albert Ellis PhD and his outstanding contributions which have helped millions of people worldwide, with some words about the work and mission of Dr Debbie Joffe Ellis. REBT, created by Albert Ellis PhD is the approach which brought forth the cognitive revolution in psychology and related fields. More than a decade following REBT’s 1955 beginnings, other cognitive approaches were developed: often inspired by the work of Ellis and in some cases assisted by him. They include CT, CBT, DBT, and ACT. Continuing to present Rational Emotive Behaviour Therapy, along with its application to contemporary topics and issues, is the mission of Dr Joffe Ellis who is entrusted with the legacy of REBT by her husband Dr Albert Ellis. 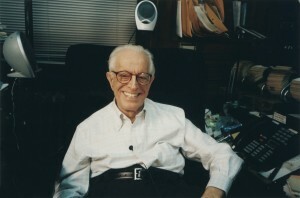 Albert Ellis PhD (1913-2007) was a bold, courageous and maverick pioneer in the worlds of psychology and psychotherapy. Dedicated also to fighting injustices and changing restrictive social norms, he was a major figure who greatly contributed to the changing of general attitudes held by many in the twentieth century and first decade of the twenty-first century, on women’s rights, racial equality, inter-racial marriage, gay rights, freedom of speech and literature – to name just a few. He introduced his cognitive approach to psychology in 1955 – attracting immense criticism and hostility as it conflicted strongly with the then-dominant Freudian approach of psychoanalysis. He persisted, and now the cognitive approach is the most widely practiced approach in the field. The New York Times wrote “Dr Ellis has had such an impact that … clinical psychologists ranked him ahead of Freud when asked to name the figure who had exerted the greatest influence on their field”. Ellis’ approach is holistic and ethical, attending to the interplay of a person’s beliefs, emotions and actions, and seeing people as capable of choosing their emotional destiny according to their capacity and willingness to choose rational realistic thinking over irrational thinking. He asserted that we humans are fallible creatures who can unnecessarily disturb ourselves, and prescribed the use of his REBT approach for Un-disturbing ourselves. He emphasized strongly and vigorously the importance of practicing unconditional self acceptance, unconditional other acceptance and unconditional life acceptance, which enable healthy tolerance and compassion towards oneself, others and the world. Dr Ellis did not shy away from controversy – at times he welcomed it as a means of stimulating people to think about rigid out-dated ideas and attitudes – in the hope that they would change their intolerant and self-defeating thoughts into healthier ones. He would vigorously and enthusiastically “rock any boat” if it meant ending or lessening human emotional suffering.Author of over 85 books and over 800 articles, Dr Ellis was awarded countless honors in his lifetime within his profession and outside of it, including being named Humanist of the Year (1971). Renowned writer and film director, Dalton Trumbo, wrote of Ellis: “Ah – Albert Ellis! The greatest humanitarian since Ghandi….”. His work has been recognized and admired by millions of people, including world and national leaders such as the Dalai Lama, President Bill Clinton and Hillary Clinton, New York Mayor Michael Bloomberg and many more. Many famous writers have incorporated the Ellis approach into their own approaches. Dr Joffe Ellis dedicates herself to sharing the life-enhancing and inspiring approach of REBT with as many people as possible. Dr Debbie Joffe Ellis communicates and thoroughly practices the philosophy, methods and techniques of REBT, teaching clearly the difference between healthy and unhealthy thinking, and often will give live demonstrations of the approach with audience members who volunteer to participate. She talks on a variety of topics, depending on the audience demographic. Her audience groups include students, educators, health care professionals, those in the business world, CEO’s, and members of the general public. She constantly emphasizes, along with the aspects of REBT, the fact that we all have a choice in how we think, feel and behave: that we are the creators of our emotional destinies. She reminds us that whilst – as the Buddhists say – suffering is part of life, by accepting what can’t be changed, and changing any adverse conditions which can be changed – we can minimize our emotional suffering, and maximize the experience of joy.